Junior Randi Velick smiles in a Maryville office. Velick, a nursing major, uses exercise and a job working with young children to relieve the everyday stresses a college student goes through. It’s that time of the year when things begin anew at college. Students begin to take new classes, juggle new routines and practice once more how to live the best college life possible. Throughout college, students learn how to deal with the stresses and challenges of the everyday college life, what with its combination of extracurricular activities, classes and homework. This is true of not just students, but also of faculty and staff. Life on campus is full of its own unique challenges, and as the new semester begins, it’s worth taking time out to look at how people deal with them. Junior Randi Velick, a nursing student, hopes to enjoy her classes and do well in them during the new semester. “My goal is always to get all As or as close to that as possible”, she said. To manage these stresses, she exercises daily and works as a teacher with a group of kids. The latter, because it is not related to her major and “enjoyable”, “gives me a break”, she said. For others who want to deal with stresses in different ways, she suggested reading books, “watching a show that makes you laugh”, or even coloring. For Tiffany Reed, one of the program coordinators of the Office of Diversity and Inclusion, a goal for the semester and year is to continue signature events such as events to commemorate Black History Month and Women’s History Month, as well as the end of year celebration in which they honor a well-performing student organization that has made an impact. In addition, she hopes to grow the number of programs that the Office of Diversity and Inclusion and the Leaders for Equity Advancement and Diversity (L.E.A.D.) Council hosts; already, they are more than halfway to surpassing the number of events they had in total last year. The most challenging part of each semester’s beginning, said Reed, is “making sure students understand that their events are impactful and reminding them to be present”, but most importantly to remember that they are students first and foremost. Reed said that students must also maintain morale within the group. Through the L.E.A.D. Council, a space is provided for student support, to “give them even more encouragement, remind them how special their events are”. Sometimes, Reed said, it seems like student leaders are always teaching others about their identity, and LEAD provides them the opportunity to learn things like self-care. 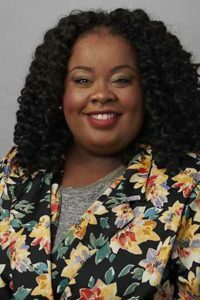 Official headshot for Tiffany Reed, one of Maryville’s Office of Diversity and Inclusion program coordinators. Image courtesy of Maryville’s directory. Do you have challenges as each semester begins? Here’s an article with 10 tips to reduce the stress of college.